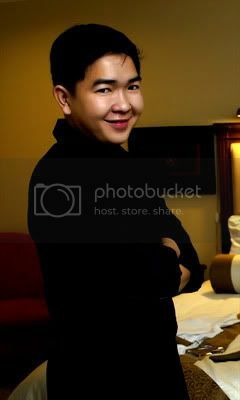 I am Ferdinand Tan Flores, managing owner of Megapixels Digital Studio. I am a wedding photographer based in the Philippines. Sometimes I also employ myself as a videographer for weddings, debut and other events as well. I am an artist by heart! Since childhood, I’ve been actively busy winning Art contests, on the spot drawings and the likes which goes the same with my siblings. Art truly runs in the family. At times, I play around, relax, appreciate, imagine and see things to look better. My style is a mix of minimal-traditional (for your folks) but MOSTLY Candids! I’d rather not direct , which is why I prefer “not” to be the lead. Leave me unnoticed, at the end of the day I’ll always find a way to deliver and hopefully surprise you the unexpected. Your album and video is a product of you and me with you as the “Star of the show”, a chance at the Oscars you might say! Be it Photos and Videos, I pursue excellence, outdoing myself everytime. I believe that every client deserves always the best, and with megapixels, it’ll be the best of both worlds (be it in photography or videography). Our team is a gathering of young, vibrant, dynamic, crazy Artists! We keep ourselves equipped with the latest technology but mostly relying on our creativity! We strive to emulate what you desire. The team shares with me this passion in… It’s Art, Technology, Perfection… megapixels! I invite you to visit my blogsite as often as you can and leave a comment if you may! Be it praises or trash, there is always something good in everything! See yah! Megapixels Corporation was established 30th of April 2004. Megapixels Digital Studio is one of the well-known digital photography and videography outfits in the country today. We hold our home office along Marcos Highway, Marikina/Antipolo City, Philippines. Situated right fater the busy commercial areas such as Sta. Lucia East Grand Mall, Robinson’s Metro East and quite recently, SM City Marikina. As a persistent supporter in uplifting the level of standard of wedding photography and videography industry in the country, Megapixels continues to embark on its commitment to provide its valued client with the best quality of service for their photo and video requirements. It is because of their love for photography that husband-and-wife tandem Ferdie and Jeng Sy-Flores, both UST Civil Engineering cumlaude graduates, were inspired to put up a business which isn’t actually related to their field. They first opened up a Kodak Express franchise in Makati in 2002 where business turned out well. Two years later, they ventured into another business-that of delving into digital photo and video coverage services. It was the time during the onslaught of digital photography that the name “Megapixels” came about. Hence the creation of Megapixels. To bone up the business, Ferdie took up formal seminars and training on digital photography while Jeng took care of marketing and operations. Megapixels usually joins different wedding exhibits especially those located on prime areas like the PICC forum, SMX in Mall of Asia, SM Megatrade Hall, World Trade Center and even as far as the United States of America during the 1st Kasal Pilipinas exhibit slated last August 11-13,2006 in San Francisco, California. It also has a display area located at The Wedding Library in Mall of Asia and Themes and Motifs bridal store in Makati Shangrila. Megapixels takes pride in it’s well-trained staff and experienced professionals (photographers, videographers, graphic artists, video editors) armed with the latest equipment in digital photography and who share the common goal of delivering superb services and high quality products for their clients. It offers professional photo and video coverage for any events but concentrates mainly on weddings and debuts. Quite recently, Megapixels have started accepting overseas prenuptial and wedding occasions which we are not limited to Philippines engagements only.